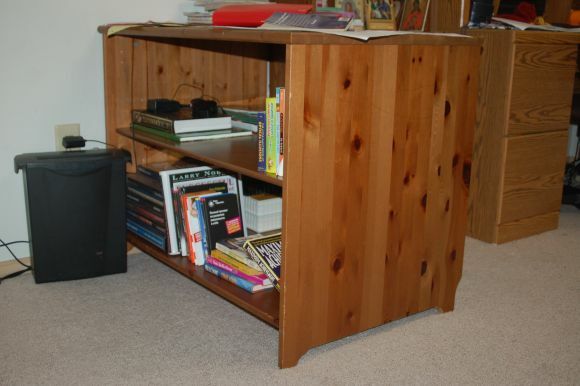 Our friends gave us something that looks like a useless bookcase. It had 3 shelves, but space there was too low and too deep. Back wall was partially missing. I needed a bookcase for my office. I removed one shelf, moved the other to the middle (I had to drill a few holes to do it, therefore I consider it a project and put on my project web site), and completely removed the back wall. 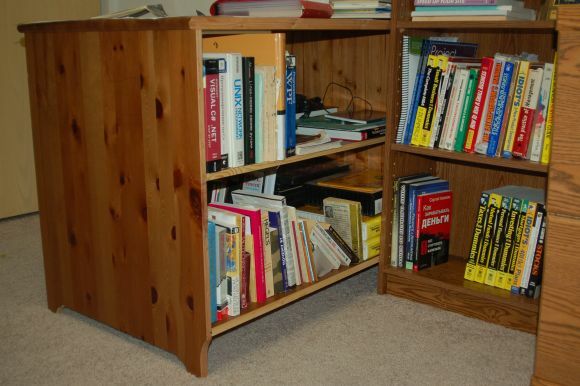 I’ve got a nice bookcase accessible from front and back sides with plenty of room for my books. I wonder how did live without it?